Patient-reported outcome measures (PROMs) are increasingly used as key performance indicators in chronic illness. We sought to review the value of these tools in assessing health-related quality of life (HRQOL) in patients with diabetes-related foot disease and identify the impact of each foot problem on life quality. 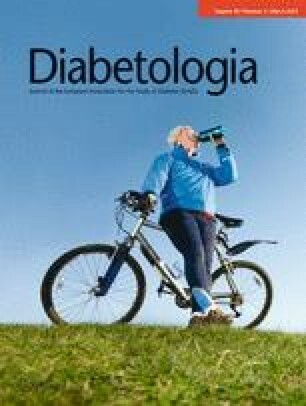 A systematic review of literature on HRQOL PROMs in diabetes-related foot disease was performed according to Preferred Reporting Items for Systematic Reviews and Meta-analyses (PRISMA) guidelines. The quality of eligible studies was evaluated within pre-existing criteria. 53 studies written between 1995 and 2010 met the inclusion criteria. A variety of HRQOL PROMs were used. Disease-specific tools were better than generic at quantifying temporal changes in life quality and showed greater sensitivity to ulcer/neuropathic severity. No studies have simultaneously evaluated disease-specific tools. Generic and utility HRQOL PROMs are frequently used as secondary outcome measures in randomised trials and cost–utility analysis. HRQOL is depressed in diabetes, further impaired by the presence of foot disease. Ulcer healing is associated with improvements in HRQOL. Patients with active ulceration report poorer HRQOL than those whom have undergone successful minor lower extremity amputation (LEA) but there is a paucity of quality data on HRQOL outcomes for diabetes-related LEA. No one PROM was identified as a ‘gold standard’ for assessing HRQOL in diabetes-related foot disease. Specific areas for further development include the most valid HRQOL PROM with disease-specific content; HRQOL outcomes in minor and major amputations and the role of HRQOL tools in routine clinical care. Management of diabetes-related foot disease demands a multidisciplinary approach with treatments that are often intensive and prolonged. As a result, hospitalisations are frequent and costs are high. Evidence to support any one approach over another, in terms of conventional endpoints such as wound healing or major amputation, is thin . Given the lack of clear benefit in terms of conventional outcome measures, the use of other markers of treatment success may be more appropriate. One such marker is health-related quality of life (HRQOL). HRQOL is a subjective measure of a person’s physical and psychological well-being and represents a patient’s assessment of how a particular disease or intervention has affected their life. Information about a patient’s HRQOL is commonly gathered using ‘Patient-Reported Outcome Measures’ (PROMs). These involve the patient responding to a number of questions on themes such as physical functioning, social functioning and mental well-being, and may include both generic and disease-specific questions. Responses are analysed to produce a multi-dimensional quality of life ‘score’ that can be measured repeatedly to help clinicians identify an improvement or deterioration in a patient’s health status. The use of PROMs has been recommended in the evaluation of healthcare technologies/services and in regulatory decision-making in the UK National Health Service (NHS) . The purpose of this review is to summarise and analyse the literature pertaining to HRQOL PROMs used in the spectrum of diabetes-related foot disease. Specifically, we aim to assess the validity of HRQOL PROMs and examine specific factors affecting HRQOL in patients with diabetes and foot disease. Systematic searches using the keywords ‘diabetes mellitus and foot’ OR ‘diabetic foot’ AND ‘neuropathy/ulcer/Charcot arthropathy/amputation/lower extremity amputation’ AND ‘health related quality of life/quality of life/QALY/patient reported outcome measure’ were performed using the ‘explosion technique’ where possible in Medline, PubMed, EMBASE and the Cochrane Library. Articles were limited to English language, human studies and peer review publications, and included all papers identified from 1966 to 7 February 2011. Bibliographies of relevant citations were screened for further articles of relevance. Inclusion criteria specified that studies had to assess HRQOL specifically pertaining to foot health in patients with diabetes using structured PROMs. Studies using PROMs to look at general aspects of HRQOL in diabetes were excluded, as were studies that used ‘self-evaluation’ (i.e. free texting/interviews without formulaic format) as a means of recording HRQOL. HRQOL PROMs were rated according to pre-defined criteria (assessing study quality, quality of tool employed and the generalisability of outcomes) . The score was adapted to ensure its relevance to diabetes-related foot disease  and an overall quality ‘score’ (range, 0–15) was assigned as a gross marker of fulfilment of the criteria—where 0 represented poorest quality and 15 best quality. The literature review conformed to Preferred Reporting Items for Systematic Reviews and Meta-analyses (PRISMA) statement standards [5, 6]. Owing to heterogeneity of study design, varying methodology and PROMs used, a quantitative pooled meta-analysis was not performed. Initial search strategies revealed 203 papers. When abstracts and reference lists were scrutinised and exclusion/inclusion criteria applied, 53 studies were eligible and included (Fig. 1). The median quality ‘score’  of the 53 included studies assessed was 10 (range 4–15) (Table 1). A variety of generic, summary, utility, dimension specific, disease-specific and site-specific PROMs were used to assess HRQOL in diabetes-related foot disease (Tables 1 and 2). The most frequently encountered tool, used in 27 studies, was the generic HRQOL tool: the Medical Outcomes Study 36-item Short-Form Health Survey (SF-36) (http://www.qualitymetric.com). The SF-36 is commonly used as a ‘gold standard’ PROM to verify construct validity when developing disease-/site-/dimension-specific PROMs. It has shown efficacy in assessing HRQOL in diabetes-related foot disease [7, 8, 9, 10, 11, 12, 13, 14, 15, 16, 17, 18] (Fig. 2). When evaluated alongside site-/disease-specific PROMs, the Diabetic Foot Ulcer Scale (DFS) [10, 11, 12] and the Cardiff Wound Index Scale (CWIS) [8, 19], statistically significant correlations between the assessed ‘life domains’ (e.g. locomotor abilities, mental wellness, personal care) make it an appropriate measure (Fig. 3). The SF-36 has shown sensitivity when correlating HRQOL scores with diabetic foot ulcers (DFUs)  and neuropathy severity . Furthermore it can show temporal changes in HRQOL  and has been used in a number of randomised controlled trials assessing the treatment of diabetes-related foot disease [9, 12, 22, 23, 24, 25, 26] in which improvements in primary outcomes (i.e. ulcer healing and improved pain scores) were associated with appropriate changes in HRQOL scores. In contrast, a Nottingham-based randomised controlled trial assessing the use of different dressing types in the treatment of DFUs used the SF-36 alongside the CWIS to document HRQOL as a secondary outcome measure. Whereas the CWIS showed statistically significant improvements in HRQOL between healed and non-healed ulcers, the SF-36 failed to show any difference . This poor sensitivity to ulcer healing was presumed by the study group to relate to the large volume of incomplete SF-36 questionnaires at follow-up, suggesting that it is a poorly accepted tool. Most observational studies assessed by this review have, however, reported good response rates of >70% when using the SF-36. The SF-36 is well equipped to generate a generic measure of HRQOL and can be truncated into the Medical Outcomes Study 6D Short-Form Health Utility Index (SF-6D) for health utility analysis. However, the SF-36 lacks specificity and may be confounded by other (non-foot) complications of diabetes [13, 14]. Other generic measures of HRQOL (the Medical Outcomes Study 12-item Short-Form Health Survey [SF-12], the Research and Development 36-item Form [RAND-36], the Nottingham Health Profile, the Sickness Index Profile) show appropriate changes in HRQOL according to severity of foot disease [28, 29, 30, 31] but remain subject to confounding factors as a result of poor specificity. Health utility PROMS have been used for the economic evaluation of foot care/treatment in diabetes with variable outcomes in terms of calculated health states (Table 2). To ensure comparability between cost–utility analyses and to guide healthcare resource allocation, the National Institute for Health and Clinical Excellence (NICE) have specified the EuroQOL 5D Health Utility Index (EQ-5D) as the preferred PROM for use in the UK . PROMs specifically designed to assess diabetes-related foot problems include the DFS , NeuroQoL  and the Carrington foot questionnaire . The DFS was developed using semi-structured interviews and focus groups of patients with DFUs and their care givers . It has shown internal consistency, reliability, validity  and sensitivity to wound severity [11, 15] and healing . A shortened version, the DFS Short Form (DFS-SF)  showed similar robustness and sensitivity. The DFS-SF has statistically significant regression correlations to the DFS and SF-36 and, at only 29 questions, is a more ‘user-friendly’ tool for everyday clinical practice. NeuroQoL was designed to assess HRQOL in patients with diabetes complicated by peripheral neuropathy and DFUs. It has been validated against the SF-12 to show construct validity and sensitivity to neuropathic symptoms, which the SF-12 (as a generic instrument) is unable to detect. Factor analyses have demonstrated internal consistency and its brevity makes it feasible and acceptable. NeuroQoL has proven proficient in assessing the impact of advancing neuropathy on HRQOL. It is less useful in showing the relationship between DFU severity and HRQOL. This may reflect the tool’s focus on neuropathic (as opposed to ulcerative) symptoms. It could also be a consequence of diminished nociceptive responses in patients with ulcers, reducing pain scores (and thus indicating better HRQOL). However, a well-designed UK cross-sectional population study (using NeuroQoL) disputes this theory; showing more severe neuropathy to be associated with a higher prevalence of pain and a poorer HRQOL . NeuroQoL’s poor sensitivity to DFUs may therefore be related to its failure to assess ulcer-related therapies (e.g. non-weight-bearing regimens, dressing changes and antibiotic therapy). The Norfolk Quality of Life in Diabetic Neuropathy Questionnaire (Norfolk QoL-DN) was designed to assess all aspects of diabetes-related neuropathic disease. It is intended for use as a diagnostic aide as well as for disease monitoring and treatment evaluation [20, 35]. Despite robust validation, the Norfolk QoL-DN [35, 36] lacks specificity for peripheral neuropathy, limiting its use in assessing the impact of diabetes-related foot disease. Disease-specific tools for diabetes-related peripheral neuropathy (DPN) have shown sensitivity to symptom severity but no attempts have been made to evaluate their efficacy in assessing temporal changes in HRQOL in individuals with DPN. As a result their use in disease monitoring is currently limited. Combining generic and disease-specific PROMs produces more useful information on outcomes . Different measures provide complementary evidence, with disease-specific tools offering specific clinical information and reflecting treatment effects and generic measures collecting information more transferrable to the service provider and highlighting unforeseen intervention effects. There are no ‘combined PROMs’ in use in diabetes-related foot disease. Individuals with diabetes without foot disease have a lower HRQOL compared with the general population (Fig. 2) [7, 8, 11, 12, 14, 28, 29, 33, 35, 36]. This may relate to the general lifestyle/complications of diabetes but may also reflect the commitment needed to preserve foot health. Patient focus groups have shown that preventative foot care practices (regular visits to the podiatrist, having to wear restrictive footwear, daily foot care regimens and restrictions on activities, etc) negatively impacts HRQOL [8, 37]. DPN may be asymptomatic but when painful impacts on HRQOL. Functional problems (disturbed balance; reduced foot sensation; disturbed sleep; limitations in footwear) and psychological fears of advancing disease, ulceration and amputation often exist together. DPN is difficult to study in terms of impact on HRQOL as the classical view is that less advanced neuropathy is associated with more pain . In advanced foot disease (e.g. ulceration), it is difficult to determine the exact impact of neuropathy in isolation. Ulcer healing has a positive impact on HRQOL scores whilst persisting ulcers have a progressively negative effect on life quality [8, 9, 10, 12]. HRQOL scores in patients who have undergone successful minor amputation for DFUs are significantly superior to those with persisting ulcers [30, 33] (although definitions of successful amputation are vague). Those who undergo major lower extremity amputation (LEA) have worse HRQOL scores than those with active DFUs [30, 33]. One study assessing variables that determine HRQOL in DFUs showed: presence of infection, co-existing peripheral arterial disease and ulcer size to be the most important . When evaluating the influence of pain on HRQOL in DFUs, the same group reported that larger persisting ulcers (>5 cm) were less painful than smaller ulcers of shorter existence , but were associated with poorer HRQOL due to ‘non pain related’ factors. Indeed focus groups have found that HRQOL in DFUs most closely relate to the impact of treatments (regular dressing changes, poorer mobility caused by non weight bearing regimens, prolonged antibiotic therapy), anxieties around possibilities of future amputation, financial losses secondary to medical incapacity and the day to day disruption on social and family life rather than the ulcer size or duration . Few studies formally assessed HRQOL in patients with diabetes and Charcot disease [17, 18, 40]. Of those studies that identified Charcot arthropathy as a separate subgroup, it was suggested (using the American Academy of Orthopaedic Surgeons – Diabetic Foot Questionnaire [AAOS –DFQ] and SF-36) that the health status in these patients was comparable to that following minor LEA . However these studies were small and a more detailed analysis of a broader spectrum of patients at different stages of Charcot arthropathy is required. Outcomes in amputation have focused on functional status and mobility rather than HRQOL. A large cost–utility analysis performed in USA used three components of the SF-36 to assess HRQOL in patients with diabetes . Those with active ulcers had significantly lower HRQOL scores for ‘physical functioning’ than those who had undergone successful toe or transmetatarsal amputations. Physical functioning in below knee amputation was no different to that in DFUs, but above knee amputation scores were worse (Fig. 4). Despite the large overall size of this cross-sectional analysis, the subgroups of interest were small and amputation groups poorly representative. Only patients who had undergone successful operations were included in this study (although ‘success’ was poorly defined), with no account for amputation related morbidity and mortality. In the UK, a prospective cohort study used the SF-36 to chart HRQOL outcomes in patients with their first diagnosis of DFUs. No significant deterioration in HRQOL scores was found (when adjusted for confounders) in those who went on to amputation . Similarly, observational studies in Sweden [43, 44] and France , using the EQ-5D and SF-36, respectively, found (with the exception of major amputation, where scores were considerably lower) poorer HRQOL scores in those with active DFUs compared with patients who had undergone successful minor amputations. The Swedish group showed no difference in scores for minor amputation and primary ulcer healing (Fig. 4). Two other small observational studies [30, 33] have shown similar patterns. Of key importance, all the studies identified that evaluate HRQOL in patients post amputation were of poor quality with small, highly selected patient groups (i.e. well healed rather than amputation stumps with complications). A supportive multi-disciplinary team (MDT) for diabetes care is associated with improved self-management and health-related outcomes [46, 47, 48]. Using generic and disease-specific PROMs (SF-36 and DFS), a French observational study  found better HRQOL outcomes for patients managed in tertiary centres, with less deterioration in physical health scores, less irritation due to ulcer appearance, shorter durations of foot ulcer care, greater closeness with partners and friends and greater satisfaction with overall medical care. These results were echoed by patients cared for by a devoted MDT in Thailand . Generic, diabetes foot-specific, utility, complication-specific, summary, site-specific and combination PROMs all have validity in measuring HRQOL in patients with diabetes-related foot disease. However, each has its limitations and none can be considered a suitable tool in every study or complication setting. Of the generic tools, the SF-36 shows sensitivity to foot disease and has been used most frequently but lacks NICE approval for use in utility studies (who favour the EQ-5D). Of the disease-specific tools, the DFS and NeuroQoL are the most validated, but no studies have compared them simultaneously and, as their titles suggest, they fail to encompass the full spectrum of diabetes-related foot disease. The CWIS shows promise in assessing HRQOL in active ulceration, but is non-specific for DFUs and may fail to capture aspects of this disease. Using a combination of generic and disease-specific PROMs should produce the most meaningful outcomes, but as indicated by the poor response rate in one randomised trial, the use of two instruments (e.g. CWIS and SF-36) may be cumbersome and unfeasible in clinical practice . Generic HRQOL tools are limited in their abilities in identifying the factors reducing HRQOL (for example, a low score on ‘role performance’ may result from retinopathy rather than foot disease). Their advantage is that they can be compared against pre-existing figures from the general population and translated into cost–utility analysis making these tools more amenable to the research setting. Disease-specific tools (DFS, NeuroQoL) offer greater insight into specific issues impairing health status. They show greater sensitivity to changing foot health/disease severity and are subject to fewer confounders, offering greater insights into lifestyle factors that may be improved by the MDT. Limitations include validation in smaller numbers of studies, exclusivity to disease state (cannot be given to a disease free control group) and narrow focus (they may miss unexpected aspects of impaired HRQOL, e.g. gastrointestinal side effects from antibiotics used to treat osteomyelitis that would not exist with surgical management). In contrast, these tools offer more use in the clinical setting for disease monitoring. The quality of studies available was variable. The assessment of test-retest reliability and use of comparable HRQOL tools to assess construct validity of PROMs was often lacking and should be encouraged when validating any PROM. The ‘quality score’ used in this review is a gross estimate of ‘quality’ pertaining to the correct use of a PROM . However, a well designed RCT that uses a single PROM as a secondary outcome measure may have a poor quality score due to a number of issues such as an ungeneralisable patient group, lack of re-test validation and lack of discussion of HRQOL domains, etc. The score is therefore more useful in observational studies designed to evaluate PROMs. HRQOL PROMs have shown the negative impact of advancing foot disease on quality of life. Where uncertainty lies is in outcomes post LEA, where only a small number of poorly generalisable studies have assessed patient reported HRQOL using PROMs [7, 30, 33, 41, 42, 43, 45]. The suggestions from these studies (that HRQOL after successful minor amputation is superior to that of active ulceration) could form a large paradigm shift in clinical approach and management of DFUs. However, patient HRQOL after unsuccessful or complicated LEA is a neglected area of study and given that amputations are associated with significant peri-operative and late morbidity, more work in this area is required before any direct conclusions can be made. Studies indicate that patient-reported HRQOL in DFUs is superior in patients managed by an MDT [11, 49]. There is no data to suggest whether MDT management would improve HRQOL in patients with less severe foot disease. Preserving HRQOL in patients with diabetes-related foot disease is of high importance and should be measured accurately in order to guide appropriate management of these patients. Using HRQOL PROMs can offer valid insights into this complex and ever increasing disease; shaping service provision and ensuring cost effective patient care. This review has demonstrated that a number of tools exist to assess HRQOL in patients with foot-related complications of diabetes. There is no one ideal PROM from which to assess HRQOL and each tool has its limitations. Clinicians and researchers should be aware of these limitations before implementation in individual settings. All authors were involved in the conception of the paper or analysis and interpretation of data; the drafting or revision of the article; and the review of the final version for publication.